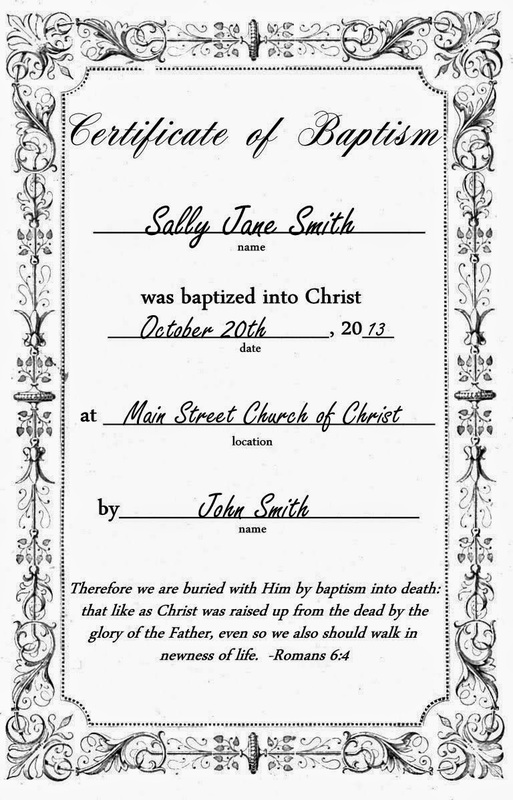 Here are a couple of printable baptismal certificates. Sometimes these are hard to find at the local Christian bookstore. 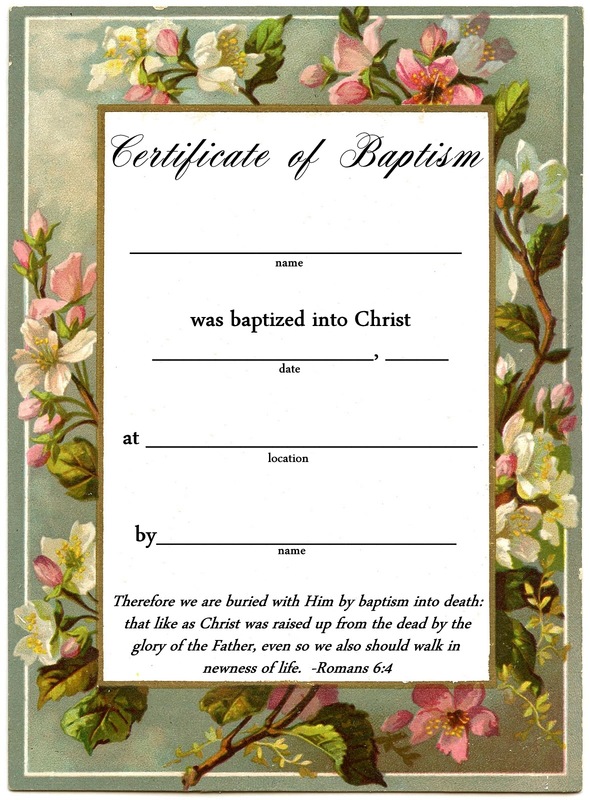 Having a "certificate" is really just a keepsake for the person to remember their baptism, and these should be printed halt-sheet-of-paper size to fit into the front of a Bible. One of the things that is recommended when I attend church, is to write a letter to yourself after your baptism, stating the reasons that you were baptized. Years later, this may be an important letter to you. 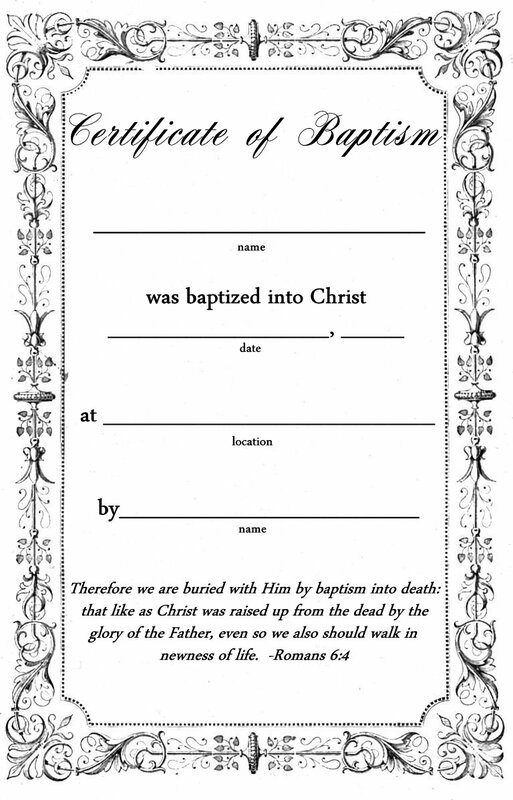 Perhaps, you could print the certificate on one side of a sheet of paper, and leave the other side for writing the letter, and fold it in half so that behind your certificate in your Bible, is the letter your wrote to yourself about your baptism. As usual, the wonderful frames come from thegraphicsfairy.com-- there are so many pretty borders and frames to choose from over there so be sure to visit!